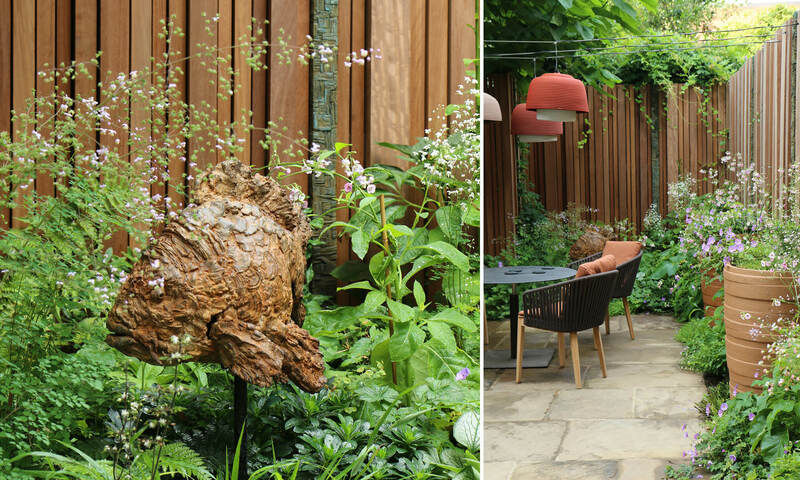 We have just returned to Alexander Square, in the heart of London’s museum quarter, where we designed a front garden around a wonderful fig tree. 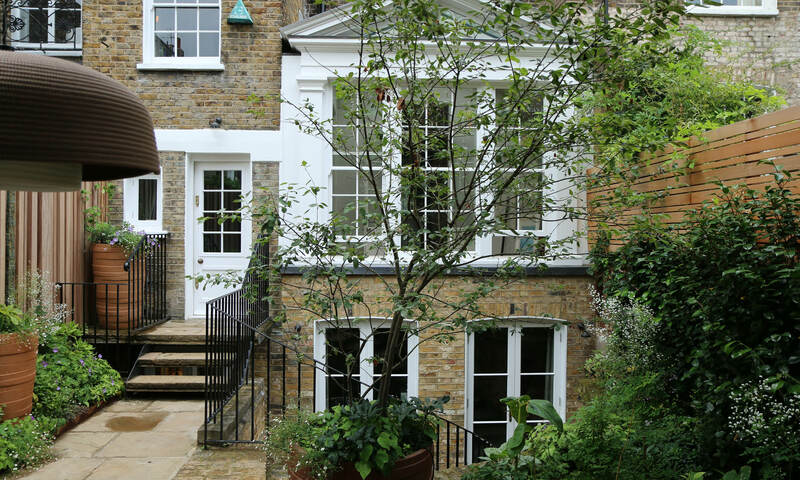 Two years later we have been commissioned to remodel the back garden of a neighbouring house, a Grade ll listed building currently under renovation by Smallwood Architects. The garden is on two levels – ground floor and basement. On the ground floor it will be enclosed on two sides by a slatted iroko fence. 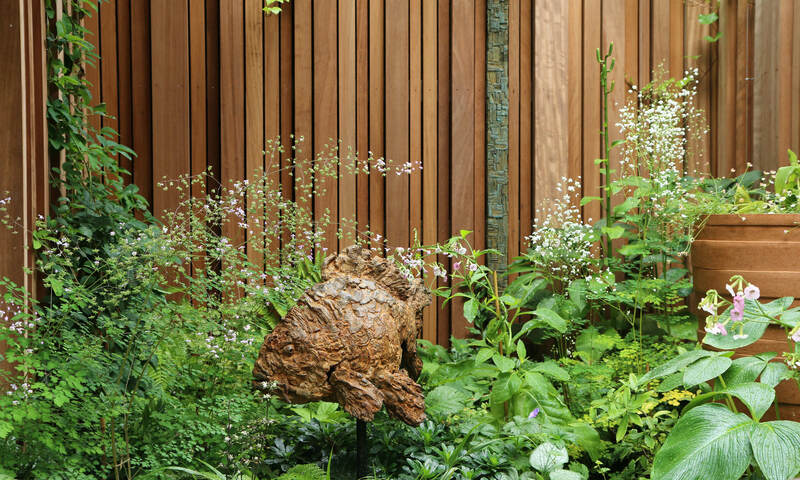 We will use verticals of different widths and depths to avoid monotony and add drama to this garden boundary. 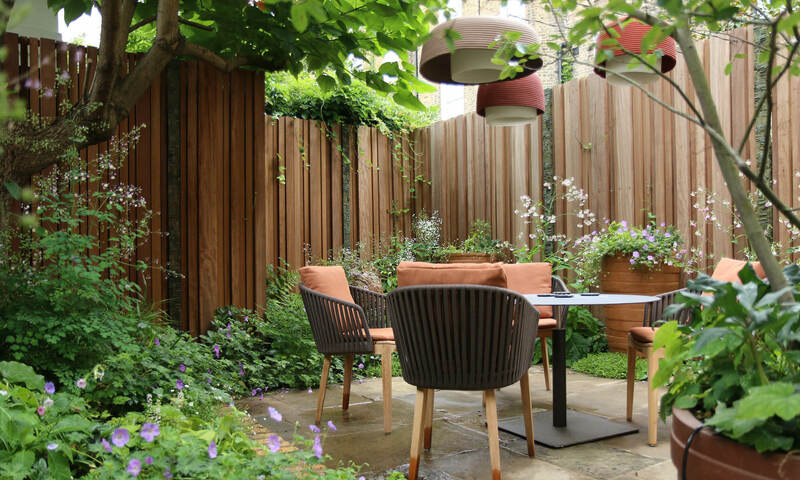 A regular enfilade of large pots against the fence will create a striking visual axis, with the spaces between the pots marked by embellished bronze uprights set into the fence. Opposite the fence there will be a camellia hedge to enclose the other side of the garden, its dark green leaves studded with white flowers in spring. In the shade of a large Paulownia tree on the left hand side, we will plant shade-loving perennials. 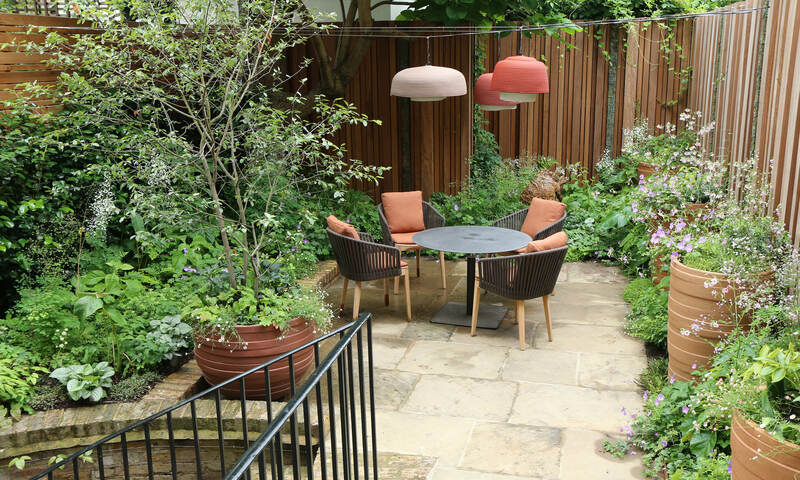 And beyond the tree there will be a circular table, illuminated at night by pendant lights. The rest of the garden will be lit by spike lights, positioned to highlight pots, trees, paths and other important features. 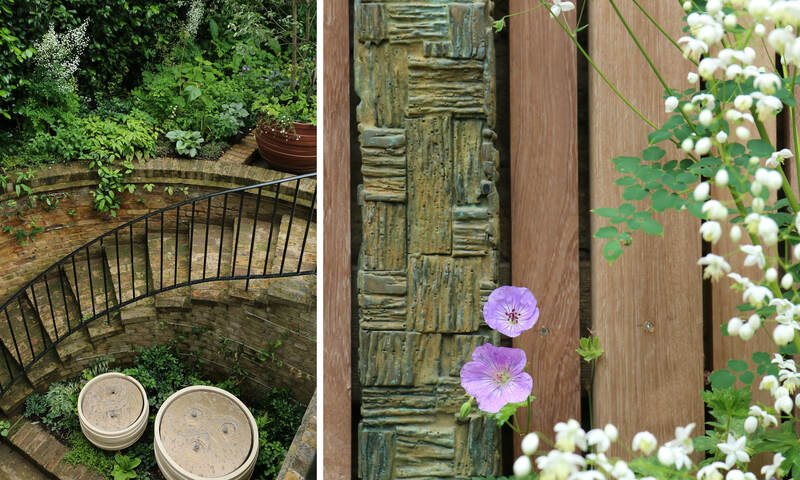 A multi stemmed, flowering tree in a pot will frame the top of the steps to the basement, where our client has his office desk overlooking the garden. Here we will transform an existing pool into a flowerbed, filling it with the same shade loving plants that we have used at street level. 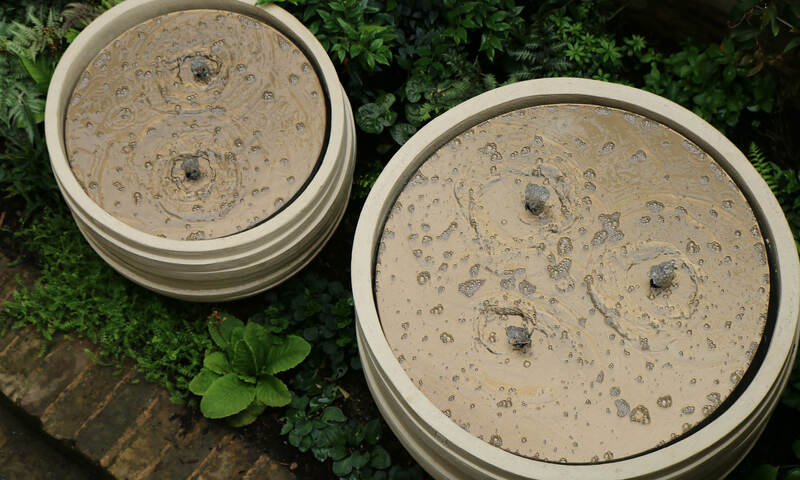 Two pots, also similar to the ones upstairs, will create a new water feature with gentle vertical jets that will be illuminated at night.